The phenomenon of violence against women is a constant in human history. Despite public administrations and civil society efforts, gender-based violence remains a reality. 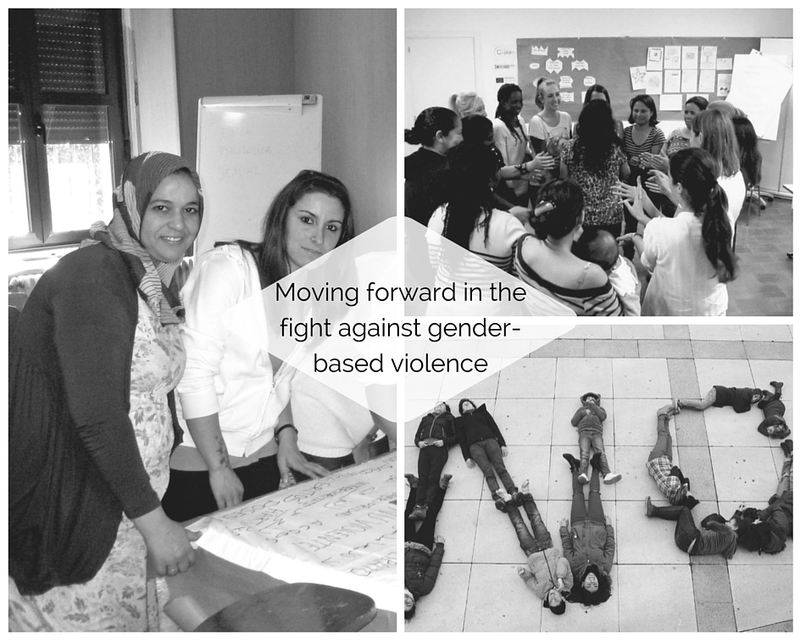 Globally, every year between 1.5 and 3 million of women and girls lose their life as a result of gender-based violence. In Spain, despite of in the last years there have been significant changes in the field of the fight against domestic violence and gender-based violence, this kind of violence remain a daily reality and affects a higher number of women, especially if these women are strangers. Cepaim Foundation has the mission to promote an inclusive and intercultural society model which facilitate the full access to citizenship rights of the most vulnerable people in our society. The NGO has created the “Adelante Program” to increase the social and labour situation of women who are in the most vulnerable groups. For do that, they make activities with the aim to foment gender equality and the conciliation for private and working lives in order to avoid multiple discrimination in terms of gender. From today, our e-commerce with a cause PcComponentes, will collaborate with Cepaim Foundation to create preventive measures to combat gender-based violence against women. These measures will be joined with other actions of direct intervention to the victims made by different entities and State administrations. With 8.000€ donated, 30 women from Murcia and Madrid will be benefit with these two workshops and they also will receive personalized attention. These workshops also help these women to improve their living conditions and their love relationships. In Europe, a disease is considered as rare when it affects 1 in every 2.000 people. Nowadays, there are more than 6.000 rare diseases which affect to 30.000 million European citizen. 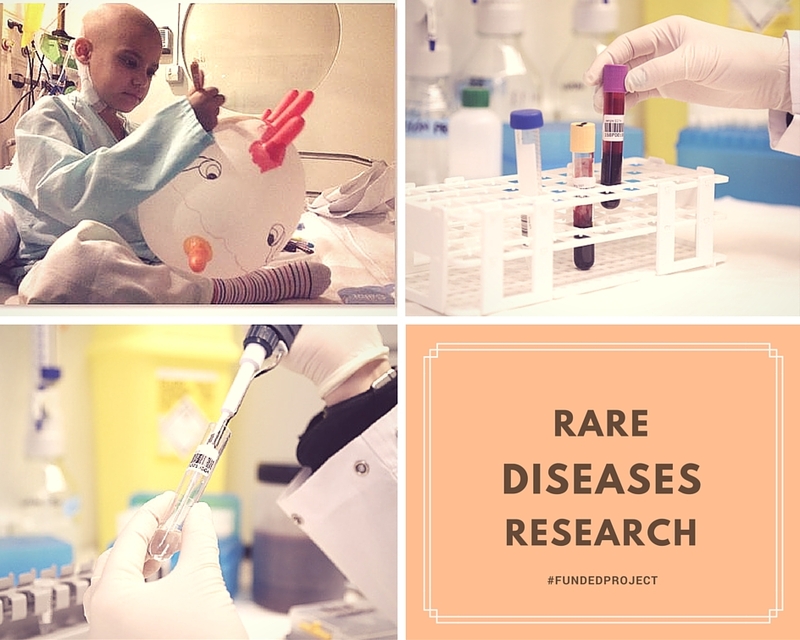 The 80% of rare diseases have a genetic origin and often these diseases are chronicles and put at risk the life of the person who suffer it (source: EURORDIS). 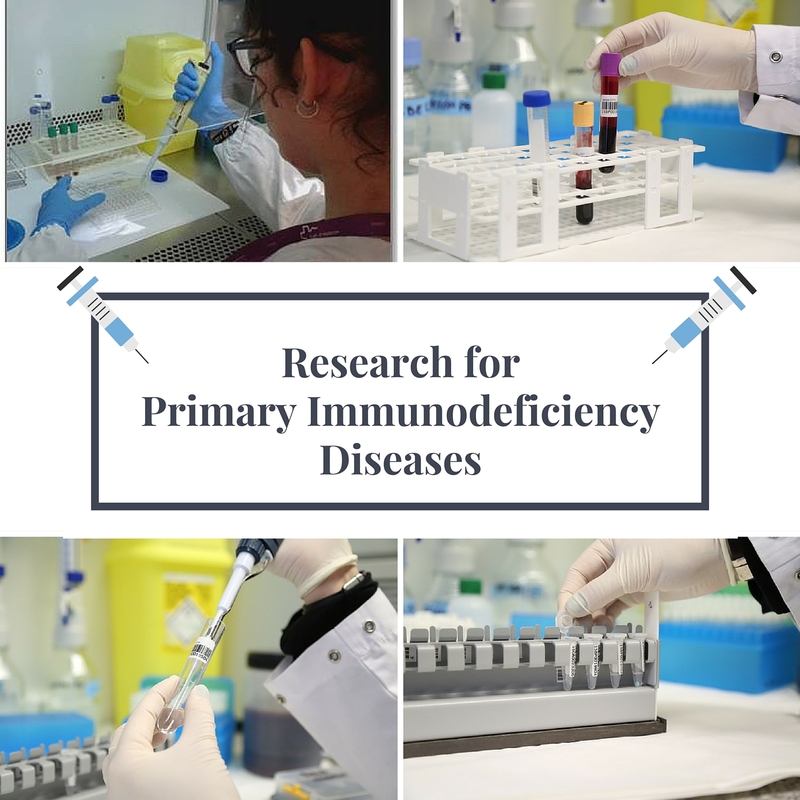 Primary Immunodeficiency diseases (PIDD) are a group of rare diseases caused by alterations in the immune system of people suffering from them. Patients who suffer PIDD are susceptible to suffer infections and, if these infections are not treated appropriately, they can be fatal or can cause permanent effects that will reduce the quality of life of those suffering from them. At the Hospital de la Vall d’Hebron- Institut de Recerca (VHIR) Foundation investigate about 200 kinds of rare diseases of 26 different clinical areas. One of the kinds of rare diseases which are investigated by VHIR are the primary immunodeficiency diseases and, in order to improve the techniques of identification and characterization of the mutations of the patients, VHIR has created a Biobank. There is where the researchers collect and preserve blood samples of patients with PIDD. Optimize the diagnosis and offer genetic counselling to the closest relatives. Reach a definitive diagnosis offering a new opportunity for treatment, due to the possibility of case revision. Encourage collaborative research together with other research centres, nationally and internationally. Once again the socially committed users of Nicequest have changed their mollusc shells for donations. Thanks to their solidarity, the investigations and the discoveries will be expanded internationally in order to make possible the diagnosis and the cure of rare diseases. 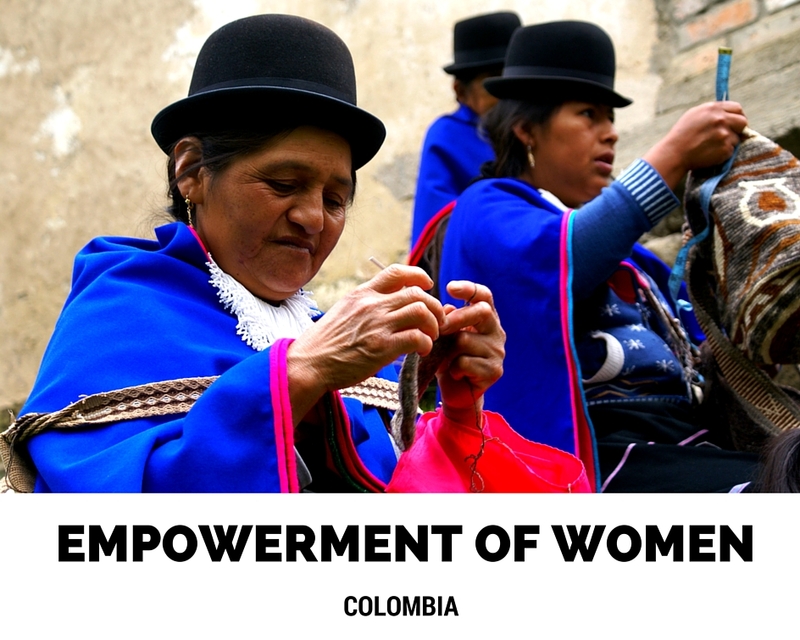 Many indigenous women from communities in north-eastern Cauca in Colombia have huge difficulties in selling their crafts. The reason is that these communities are suffering the consequences of armed conflict and, this situation of vulnerability together with the market ignorance and the lack of organization and planning of the production cause this situation. In its new project, Nicequest will collaborate with CODESPA Foundation to help strengthen the socio-organizational and business processes of 5 associations of indigenous and peasant women of 5 municipalities in north-eastern Cauca. With the help of Nicequest users, 74 indigenous artisan women from five different ethnic groups (guambianos, pots, ambalueños, kiswueñas and mestizo), will see strengthened their socio-organizational and business processes to commercialize their products. For many people who live a hospital admission, the health centres are associated with fear, pain, sadness and tension. If for an adult the fact to stay hospitalized during a long time is a hard experience, for children is worst, because to this feelings we have to add fear for the unknown and the concern of their parents. Children routine completely changes when they are admitted into hospitals. This change in their daily life may make children feel stress and/or anxiety. With Christmas on the way, this situation is aggravated, apart from the change in their routines, sick children can’t celebrate Christmas period with his family and this fact may cause a feeling of loneliness, anxiety or uncertainty caused by the cold hospitable environment. Pupaclown Association and Theodora Foundation are NGOs with the same aim, make better the stance of children and youth in hospitals during their hospitalization process. 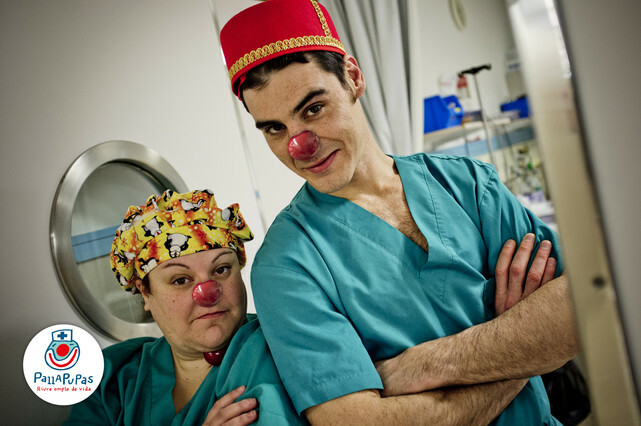 For this reason, this Christmas, Theodora Foundation and Pupaclown Association joined with PcComponentes in order to support sick children and youth in order to break their hospital routine through the magic, storytelling, music and the art of clowning, and give them a reason to smile. Humanizing hospital stay and reduce stress and anxiety of children who are forced to remain hospitalized by creating an atmosphere of relaxation and joy through laughter. Release tension of hospitalized children and their families and mitigate the negative effects of long hospitalization. Thanks to help of PcComponentes customers, 2.820 children and youth, of one of the 5 hospitals we have mentioned before, will receive a weekly visit of one artist from Theodora Foundation or Pupaclown Association for 5 months. Together we can do big things! Break the circle of child poverty continue being a pending subject in Spain. As we said in various articles of our blog, the 35% of Spanish children are living at risk of poverty. The result of the last report presented by AROPE (At Risk Of Poverty or Exclusion) shows that almost 3 million of Spanish children are living at risk of poverty and more than 800.000 children are chronic poor. 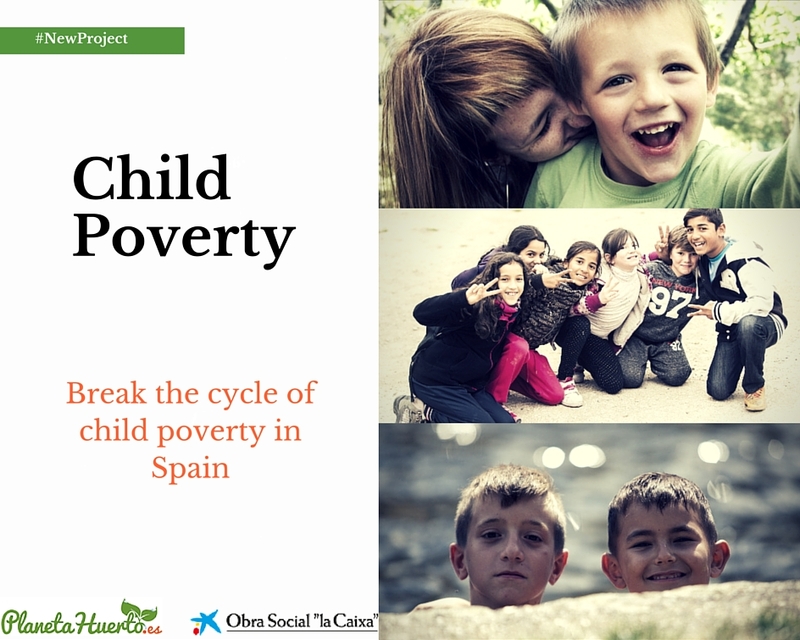 The program CaixaProinfancia of Obra Social “la Caixa” has de aim to break the circle of hereditary poverty acting on the needs of children and teenagers between 0 and 18 years who are living in a poverty or social vulnerability situation. Obra Social “la Caixa” allocate 50 million euros annually to guarantee continued long-term care of more than 238.000 children since 2007. It can do it thanks to the collaboration of more than 30 social organizations from 11 of the main Spanish cities. Planeta Huerto, the e-commerce leader in garden and ecologic product, has joined to the group of e-commerce with a cause of Worldcoo. The company has integrated our solidary widget in its ecommerce platform to help fund high social impact projects. Planeta Huerto is specialized in the sale of ecological and sustainable products in all areas of daily life. Nowadays, Planeta Huerto has more than 20.000 product references and more than 85.000 customers in Spain, Portugal, France and Italy. Planeta Huerto will collaborate with Obra Social “la Caixa” in order to help break the cycle of poverty by teaching those vulnerable children. For do that, children will learn how to use the tools of education to take control of their own lives. From today, the customers of Planeta Huerto will have the possibility to make a donation in each purchase they make. With this project, Obra Social “la Caixa” wants to provide support to childhood and the families through the promotion of social and educational development of children at poverty situation from a perspective of comprehensive care by educational support and family workshops. Thanks to Planeta Huerto and its customers, 30 children will receive a weekly school support for a month in order to improve their education and break their circle of poverty. Welcome Planeta Huerto to the socially responsible companies’ community! In Spain there are approximately 1.853.700 elders who are living alone, the 72% of them are women and the 42% are older than 85 years. 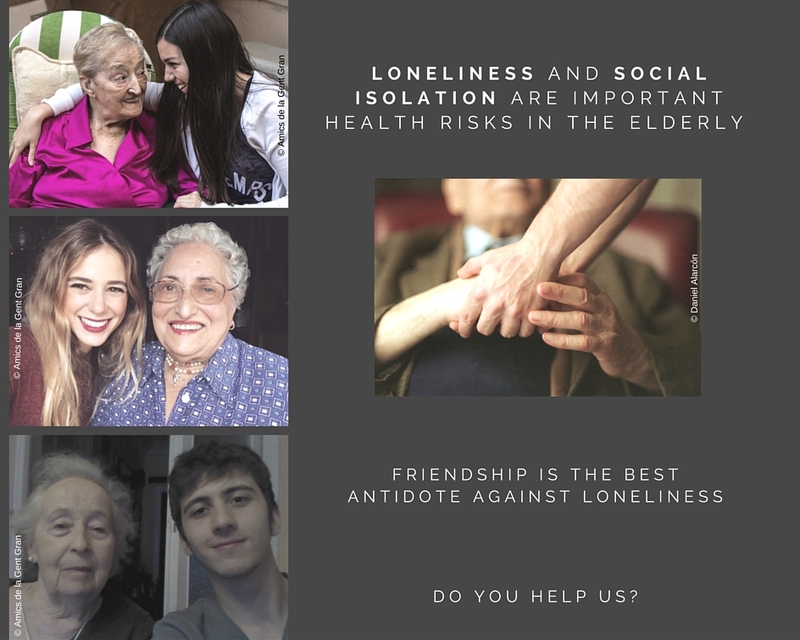 Loneliness and social isolation are risk factors for depression, the cognitive impairment, their health problems and economic difficulties and for their mortality. Emotional accompaniment of older people, through different programs, for example, during a disease, home help or sporadic accompaniments. Social invigoration, trough socializing activities as trips, coteries at home, holidays, Sant Jordi, San Juan and at Christmas. Awareness in society about the reality our elders face. To do this, Amics de la Gent Gran makes three awareness campaigns: “Rosas contra el olvido”, Summer Campaign and Christmas Campaign. According to the World Health Organization (WHO), loneliness is one of the main causes of health risk in elderly. The relationship between loneliness feeling and serious diseases is significant and WHO advises that this feeling may generate situations of dependency. For this reason, Amics de la Gent Gran fight to prevent this situation. The accompaniment home program has the aim to fight against loneliness of elders who are living alone. This program provides a two hours weekly visit from a volunteer at the home of an elderly person. This visit wishes to create an emotional and trusty bond between the volunteer and the elderly person in order to break with the feeling of loneliness which have the older person. For Amics de la Gent Gran the companies are important drivers of social change and, such as, they play a relevant role in the promotion of a more equal and sustainable society. Our committed company Promofarma share the values and the commitment with Amics de la Gent Gran. For this reason, they have joined together to perform a new project with the aim to fight to combat the feeling of loneliness which have many elderly. Promofarma’s customers will be able to help to combat loneliness of the elderly and also help them to improve their quality of life. Thanks to their solidarity, 13 elders will receive a weekly visit of a volunteer of Amics de la Gent Gran for a year. Every day, 18.000 children under 5 die prematurely because of diseases which could be prevented or treated with vaccines but, unfortunately, in development countries haven’t access to adequate vaccines. Vaccination is one of the best ways to guarantee to children a healthy life since the beginning because with vaccines many diseases can be prevented. Vaccines are a key tool for the communities’ development and are the most-effective way to save lives. Obra Social “la Caixa” and Gavi have been teamed up with the aim to help fund the necessary vaccines to protect children living in the poorest countries. Thanks to Vaccine Alliance, until the end of 2014, they have been able to immunize 500 million children averting millions of premature deaths. The first cause of death in Mozambique is pneumonia. 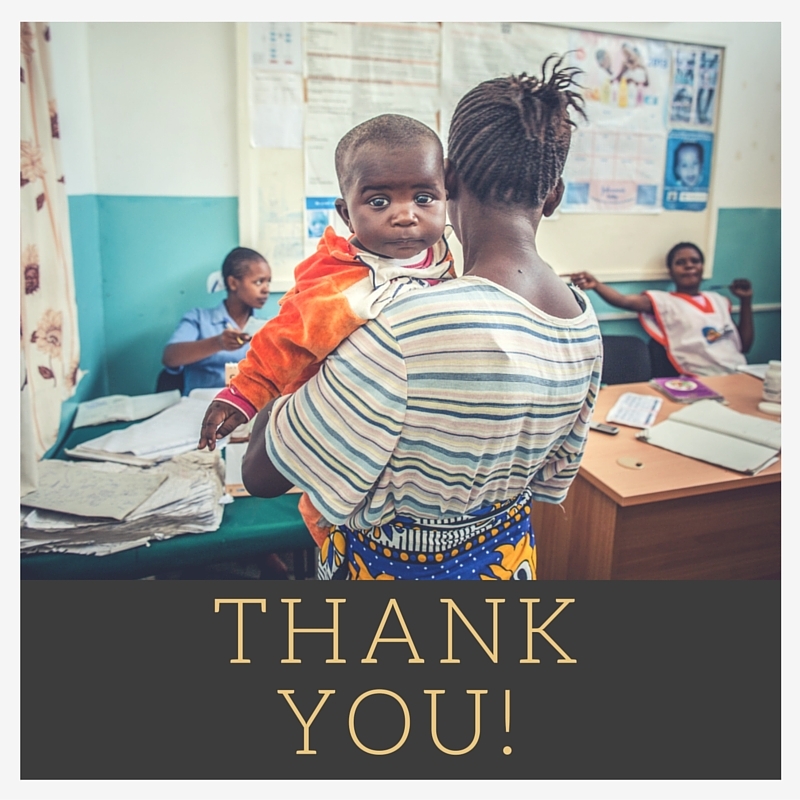 Thanks to customers, partners, employers and companies who collaborated with the alliance between Obra Social “la Caixa” and Gavi, more than 300.000 children from Mozambique were vaccinated. 6 months ago, Promofarma began to collaborate with Obra Social “la Caixa” and Gavi and offered to its customers the possibility to make a donation to guarantee the use of vaccines in Mozambique. Today we are glad to announce that thanks to the solidarity of Promofarma customers we have funded a new project. With 4.574€, vaccines will be introduced in Mozambique in order to facilitate its access to the population. In addition, the markets will be able adapted for vaccines and other immunization-related products. With the help of Promofarma customers and, thanks to the fact that Obra Social “la Caixa” will quadruplicate each euro donated, 2.287 children from Mozambique will have access to adequate vaccines to guarantee them a healthy life. Thanks again to Promofarma for being an ecommerce with a cause and thanks to its clients because thanks to their solidarity a new project has been funded. We encourage you to continue generating a positive social impact collaborating with the new project of Promofarma and Amics de la gent gran. Currently, there are approximately more than 27 million refugee or displaced children in the world. Children are a half of the displaced and refugee population. All these children have to flee from war and violence. They have left behind their home, their friends, their school, their life… They will have to face an uncertain future outside their country. Education is a human right which many of these children have lost when they have been forced to leave their home. UNHCR works to protect and provide a productive future to all these children in order to make them to be self-sufficient and allow them to lead a worthy life. According to ACNUR, education provide children the basis to build a prosperous future and keep the children protected. For this reason, in the year 2012, UNHCR started the project “Educate a child” to give response to urgent and important needs in education in 12 countries which welcomed a large population of refugee through capacity building, teachers training and the rehabilitation and/or construction of scholar infrastructure. The first year, 176.800 children were incorporated to primary education and, at the end of 2014, 280.000 children were enrolled at school. The goal for 2016 is to have educated 3 million refugee children who currently have no access to any education. Nicequest, a company which have more than 726.210 users, wanted to help UNHCR to obtain its goal and at the beginning of August gave to their users the possibility to change the points they obtained each time they made a survey for donations. Thanks to the solidarity of its users, Nicequest had raised 8.000€ in donations in 36 days. Thanks to all people who helped make this project has been made possible and we take this opportunity to encourage you to continue helping to create a high social impact collaborating with the new Nicequest project. And that’s how was born Pallapupas, a NGO that contributes to the humanization of hospitable processes and to the prevalence of the sick person above the disease during it process. Pallapupas confirms that humour is the fundamental tool in order to deal adverse situations that people live around the disease. Professionals working at Pallapupas are a professional actors and actresses working together with sanitarian personal in order to adapt interventions to their needs. These professionals are drawing smiles to patients before, during (in case of local anaesthesia) and after the intervention. ByHours.com, the web platform that allow you booking packs of 3, 6 or 12 hours in more than 1.500 hotels from the best internationals hotel chains, has integrated Worldcoo’s cause-funding widget to help fund projects with positive social impact. In ByHours.com the customers select the check in time adapting their bookings to their time needs. Thanks to ByHours.com, travellers that have to waiting hours during a stopover in the airport, before a meeting or quite simply people who want to enjoy the best hotels of their city and living a great experience, have the chance to save money thanks to booking of packs of hours. From now on, the more than 60.000 customers of ByHours.com will have the possibility to make a donation each time they booked by hours in one of the more than 1.500 hotels with which ByHours has an agreement. ByHours.com users will be able to help professionals who working in Pallapupas and which have the aim to make children’s surgery a more human, closer and sensitive experience, may draw smiles to all hospitalized children. Research points that the prevention and control of anxiety and stress before a child surgery are extremely useful because it can lead to a reduction of pain, minor postoperative complications and a better postoperative recovery of affected children. 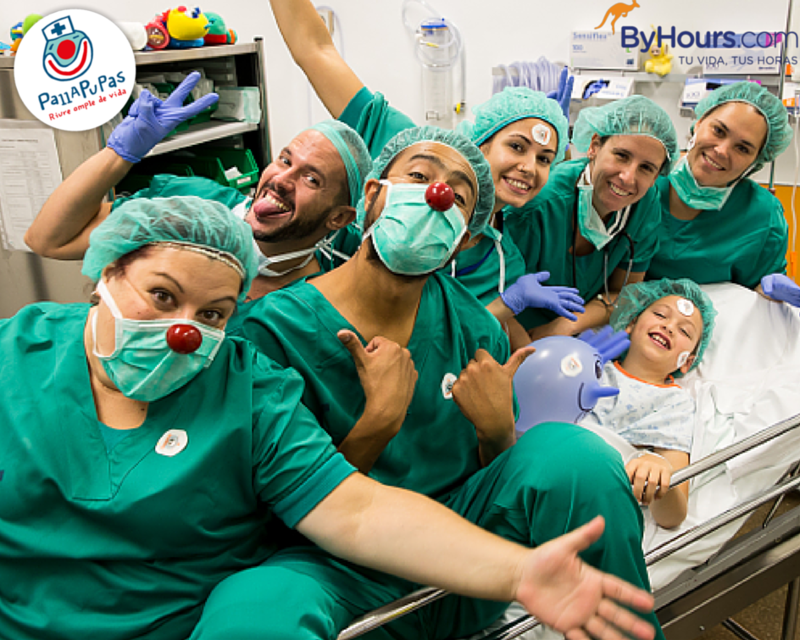 Thanks to the solidarity of ByHours users, an accompaniment to surgery and during induction of anaesthesia will be held to 68 children in Sant Joan de Déu Althaïa Hospital of Manresa for 13 weeks. In addition, they also help relatives affected by the suffering of the minor, and health personnel. Welcome ByHours to the e-commerce with a cause group! Primary Immunodeficiency diseases (PIDD) are a defect in the immune system that is caused by a genetic alteration. People that suffer this defect in their immune system are more likely to suffer infections and these infections are more dangerous than normal. Globally, 1 of 2.000 live births is born with some alteration in their immune system. The 90% of people that suffer some Immunodeficiency are diagnosed in childhood, usually in the first years of their life. There are more than 200 kinds of Primary Immunodeficiency diseases which are classified in 8 big groups according to their characteristics. Unfortunately, there are great ignorance by population and the doctors who are the first to have to diagnose the disease, in other words, the paediatricians and primary care physicians. The Infection in Immunocompromised Pediatric Patients group and the Immunology group at Vall d’Hebron Institute of Research (VHIR) have started to collect blood samples from patients with Primary Immunodeficiency Diseases in order to be a part of the Immunology Bank of the HUVH Biobank. The aim of the groups to collect and preserve blood samples from patients with rare diseases caused by PIDD in order to improve the identification techniques and for characterization of mutations of patients. The Primary Immunodeficiency Diseases are a genetic defect inherited from father to sons; the research will allow counsel future gestations. The research will allow that different cases will be reviewed and maybe get a final diagnosis that allow offering a new opportunity of treatment. The research will also help to know the genetic defect that can suffer the patient. Nowadays, sometimes, a patient is diagnosed with PIDD but the doctors don’t know his genetic defects in his immune system. A patient with PIDD may die because of this disease. If the researchers have a sample of this patient they may study why the defects in his immune system have caused his death. The research will allow collaborating with other research centres both in the State and International level. Many kinds of PIDD are less frequently than others and it is necessary to study patients from other parts of the world. The collaboration is fundamental to help study and diagnose these rare diseases. “Juan was a child who died because of suffers an immunodeficiency disease. Juan died days after his brother Didac was born. When Didac had 6 months, his doctor recommended to his parents go visit the doctors of Vall d’Hebron Hospital because his brother had died because of a immunodeficiency disease, this disease was genetic and maybe Didac could have the same disease of his brother. Ten days later, the doctors confirmed that Didac suffers a defect in his immune system. Nowadays, Didac has 4 years and, thanks to the research of Primary Immunodeficiency Diseases, the doctors have found the mutation causing to Didac a genetic defect. Thanks to this, two month ago, a bone marrow transplant was made to Didac and now he is slowly recovering” – You can read more information about Didac here. As you see, the future of Didac and many other children depends of the research. For this reason we encourage you to collaborate with Nicequest in the project that has the aim to help to continue researching to identify and characterize the different mutations that suffer the patients with Primary Immunodeficiency Diseases. In early September the NGO Educo informed us about the increase of grandparents that had provided economic aids to their sons and grandchildren. Specifically, the 80% of the grandparents had given an average of 290€ per month as an economic aid to assist their families. According to Educo with INE data, the 57% of grandparents explains that their personal and welfare situation are getting worst because of the economic difficulties that their family are suffering, as more than 700.000 families had no income the first trimester 2015, this data are almost the double than 2007. For this reason and concurring with the new school year, Educo began a new scholarship dining campaign with the aim to give support to families in need and to guarantee that children from families facing economic hardship receive a least one meal a day. The alliance between Educo and Redcoon continues and, from the beginning of September, the clients of Redcoon have been making donations to help all the children living at risk of poverty. One more time, Redcoon customers have demonstrated that they want to finish with childrens poverty. 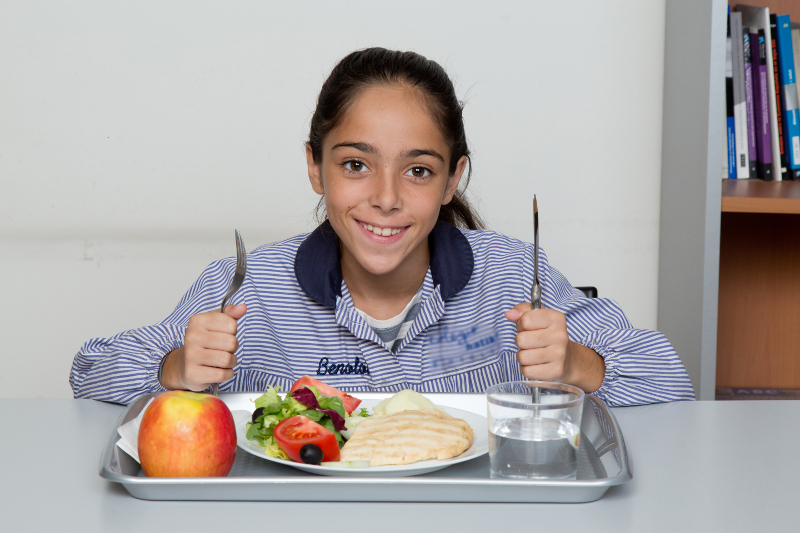 Thanks to their solidarity, 6.000€ have been raised with whom 2.400 healthy and equilibrated meals will be provided to different Spanish schools. Many Spanish households have big difficulties to makes ends meet. Many families only eat meat, chicken or fish every two days and this fact hurt the children growth living in these homes. Educo’s dining scholarships will guarantee a healthy daily meal to all the children living in a poverty situation and also help the situation of the children family. Moreover, this kind of grants have additional benefits to those children who couldn’t access to their school lunchrooms. It is proven that afternoon absenteeism is reduced by 100% and helps improve school performance and boost self-esteem. Furthermore, increase the time children spend in a safe, warm, comfortable and protective environment. To continue helping the maximum number of children living at poverty situation, Redcoon will continue raising funds. Thanks to the collaboration of its clients, Educo will be able to provide more dining scholarships and thus eliminate the malnutrition that many Spanish children are suffering and, at the same time, Educo help them to increase their school performance and their self-esteem. Thanks to Redcoon and its clients for their solidarity and for continue helping to fight against childrens poverty in Spain.